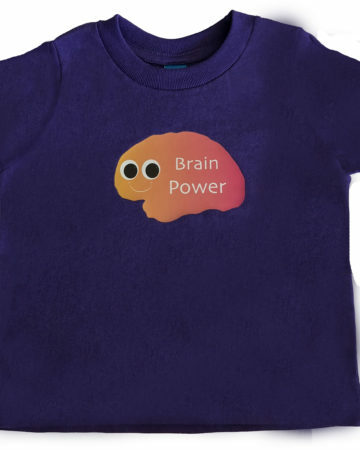 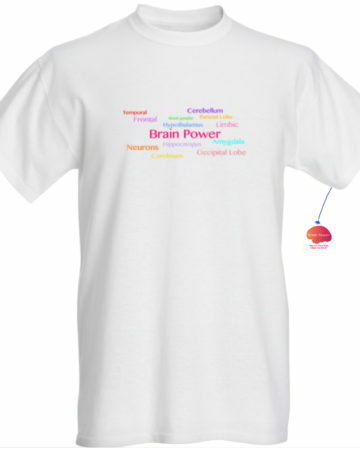 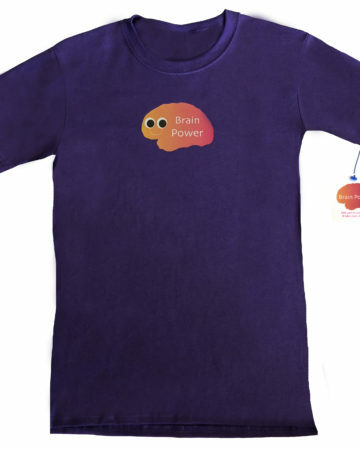 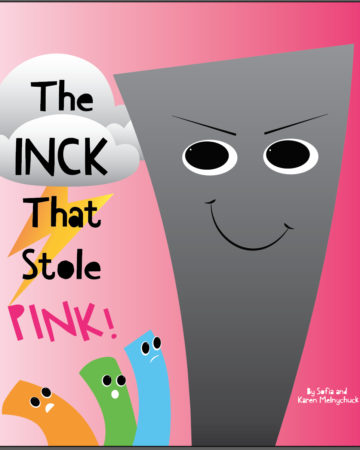 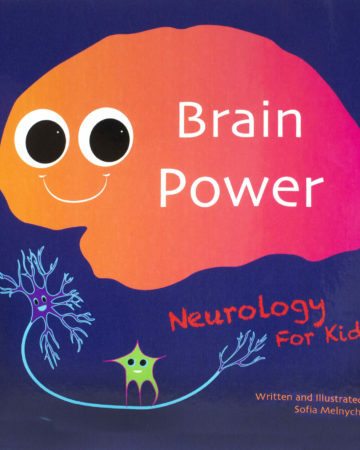 Looking at life creatively is not only fun, but helps in all kinds of situations. 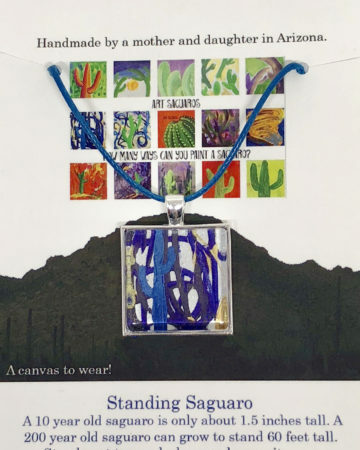 Mother and daughter artists, Karen and Sofia, both love the saguaros in the Tucson desert where they live and asked themselves, “How many ways can you paint a saguaro?” Exploring the infinite ways to take a challenge helped them to see the number of ways they could also look at life’s challenges in creative, even fun, ways! 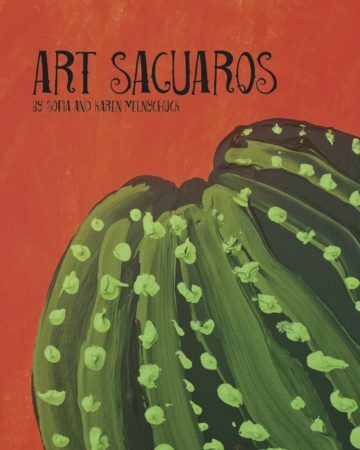 Their collaborative book, Art Saguaros, shares some of their paintings in a poetic form from morning to night. 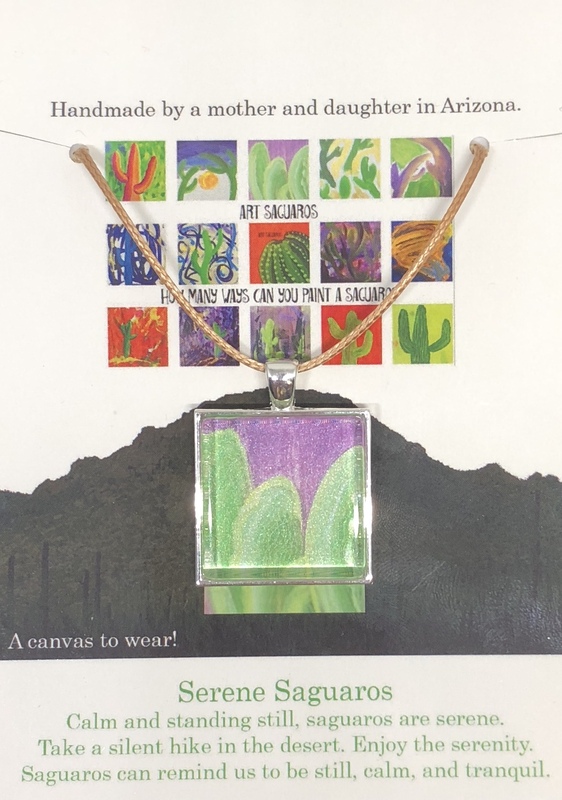 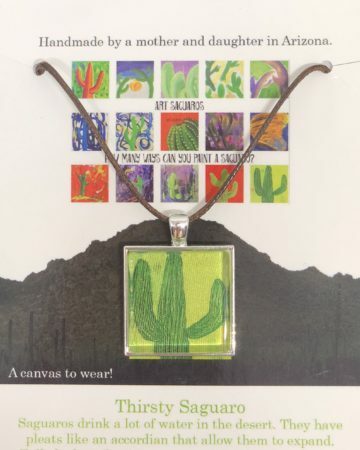 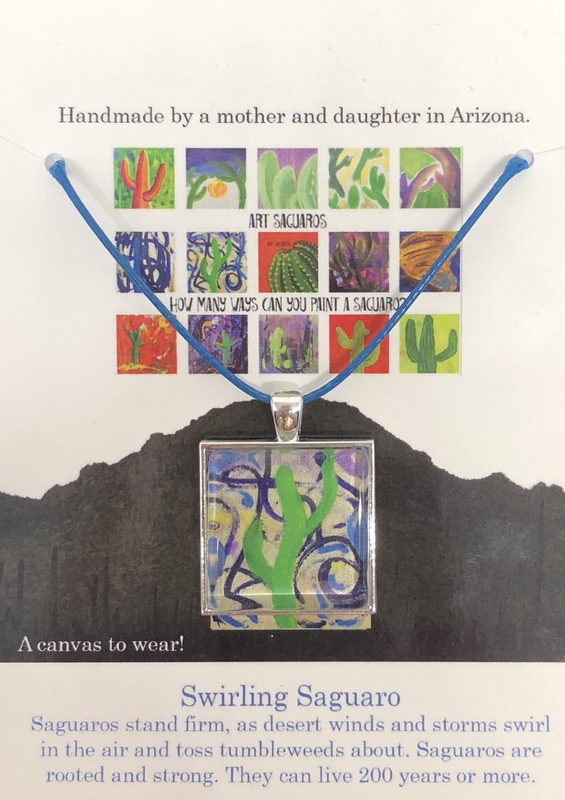 Mini-canvas necklaces make it fun to wear these paintings. 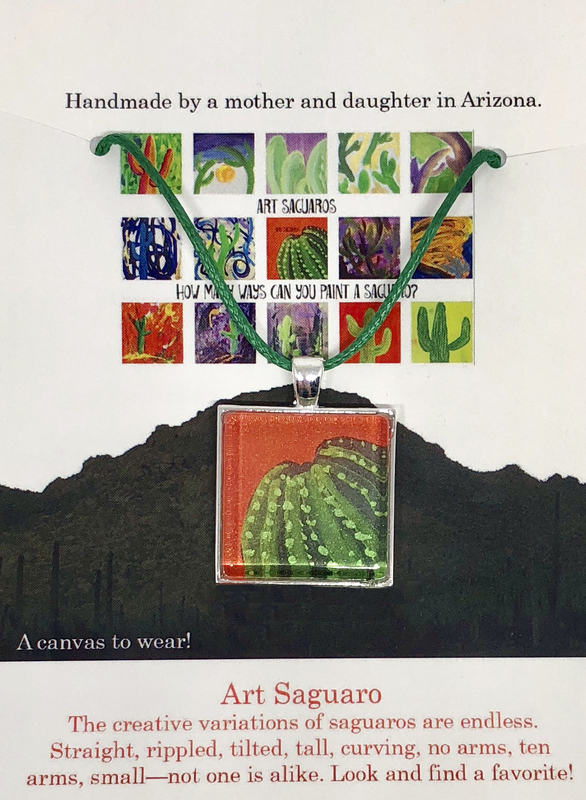 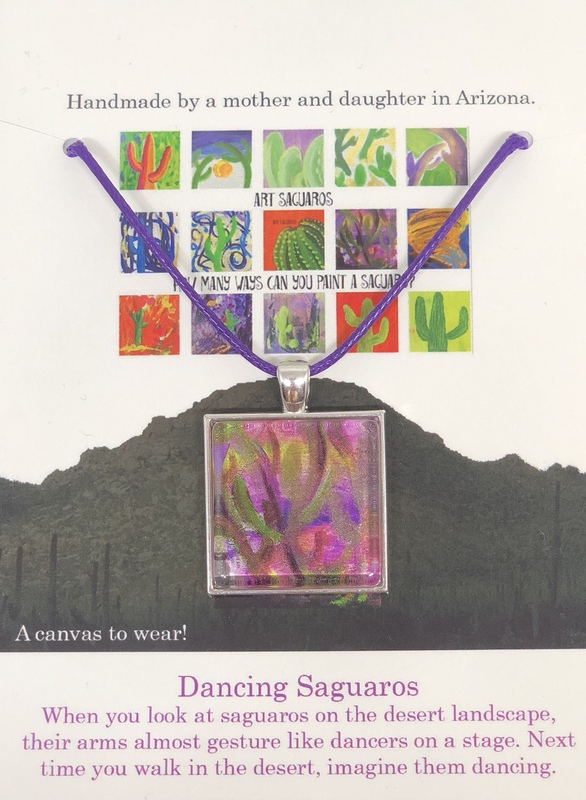 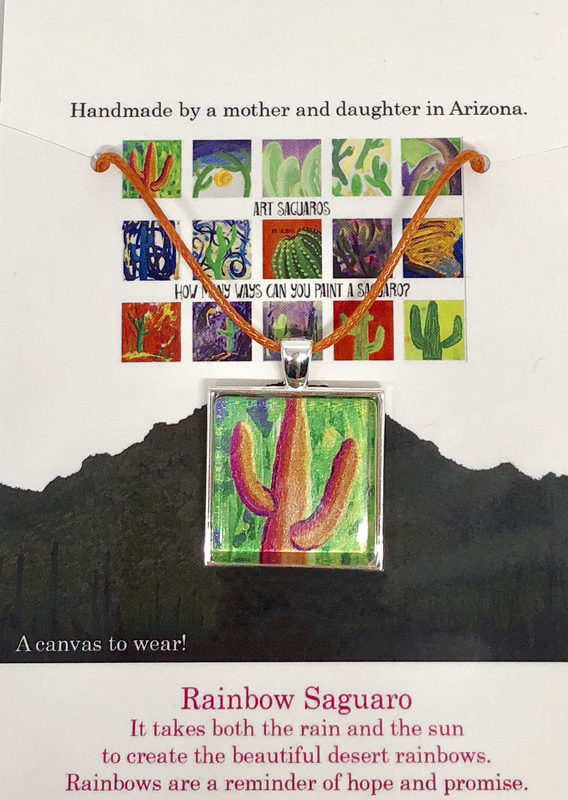 And, Sofia, used her graphic saguaros to create elegant modern saguaro shirt designs—some adorned with stars in the sky!